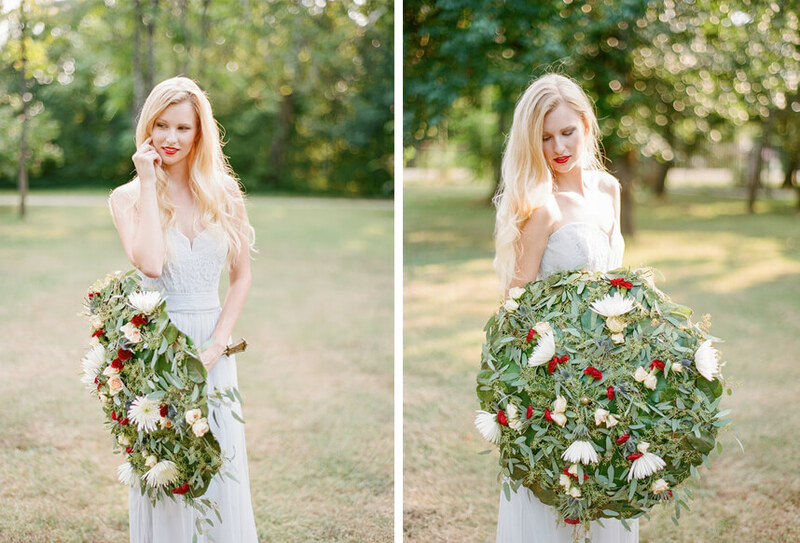 We couldn’t wait to share these wedding floral adornments from Oklahoma’s top florists that can be worn or carried as statement making embellishments. 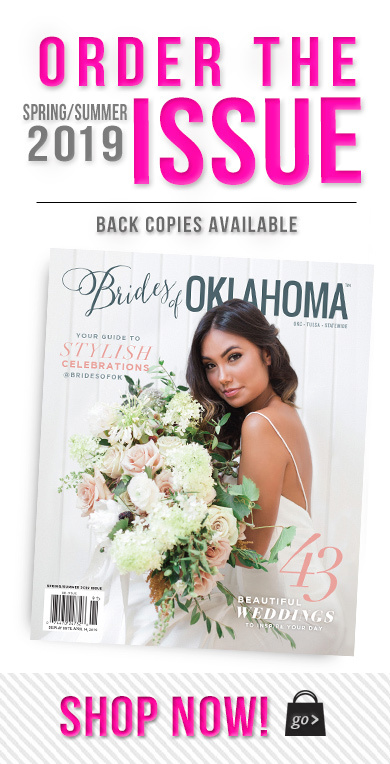 Whether you’re the bride wanting to make an impression, or you want your bridesmaids to carry something unexpected, we’re sure you’ll find an amazing idea from this floral editorial in the current Brides of Oklahoma issue on page 89! 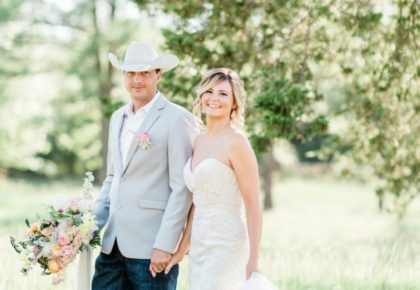 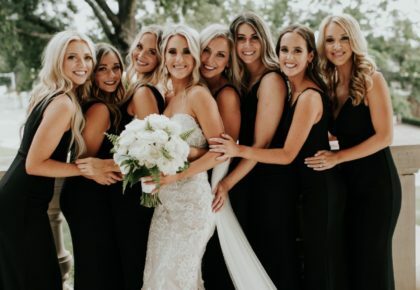 Amanda Watson Photography captured all of the dreamy details, while Stout Multimedia filmed the entire shoot to create the amazing behind the scenes video below. 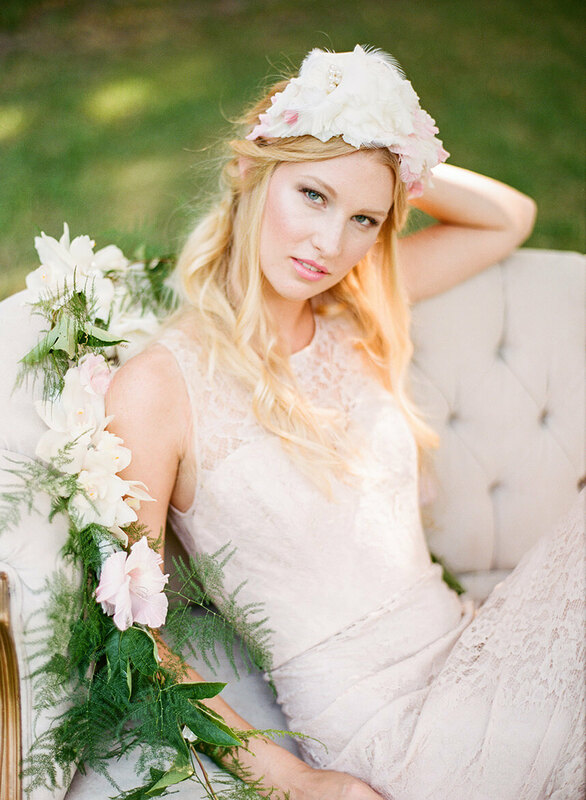 Our stunning model wore romantic gowns from Prim while showing off the amazing work of Trichology Salon on her hair, and Atherial on her beautiful makeup. 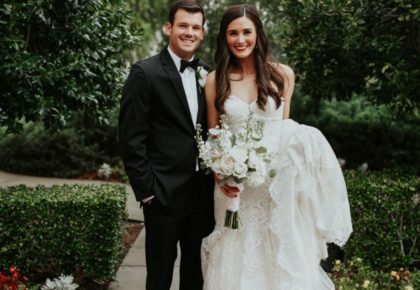 Ruby’s Vintage Rentals provided one-of-a-kind pieces of vintage furniture that filled the space at the breathtaking The Stone Barn perfectly, and Dot & Army supplied us with a monogrammed napkin for the perfect feminine touch. 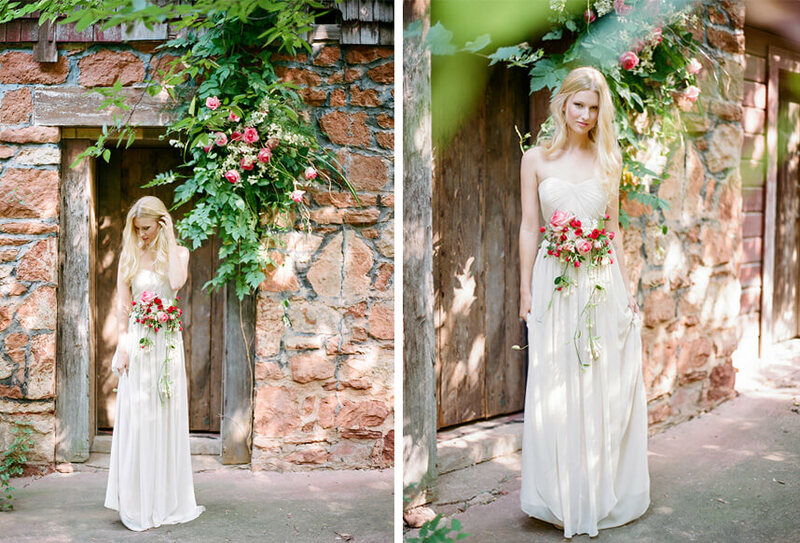 Make an entrance wrapped in greenery for the perfect organic touch by Poppy Lane Design. 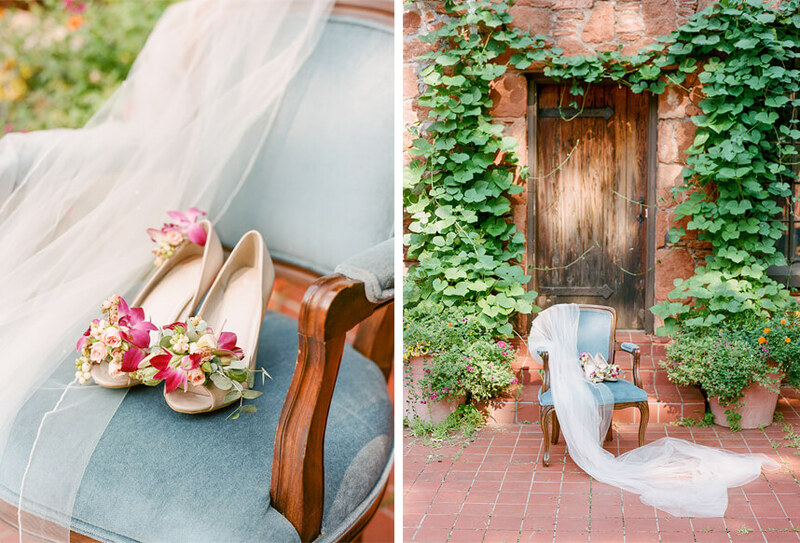 Put your best foot forward with fresh florals adorning your shoes by The Garden Trug. 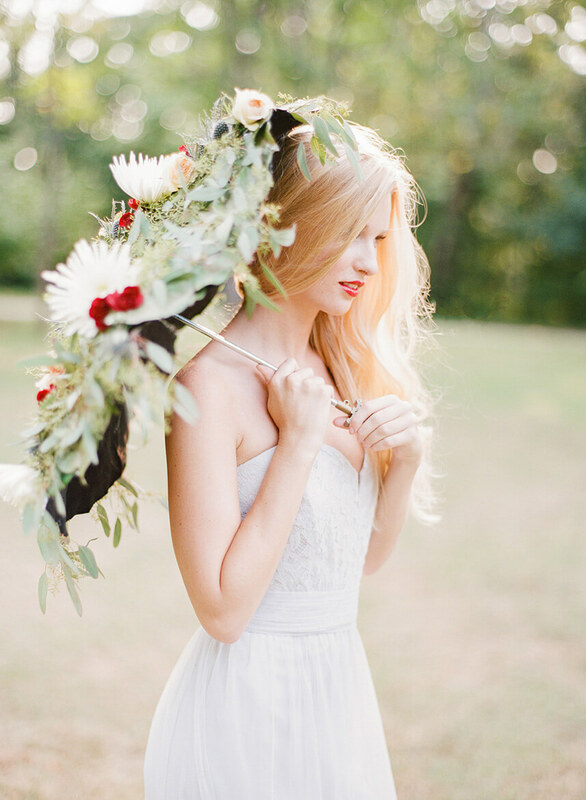 Send your maids down the aisle with floral parasols by Emerson Events. 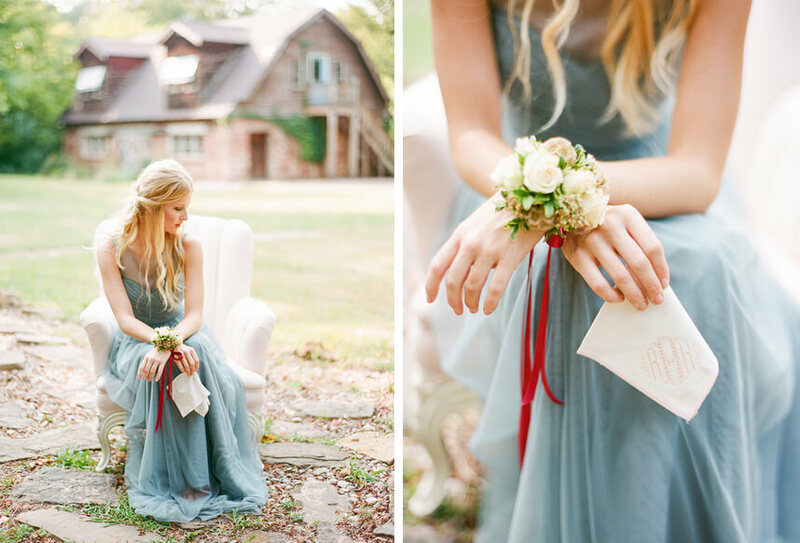 For a timeless touch, have your bridesmaids wear beautiful blooms on their wrists by Cole Dewey Designs. 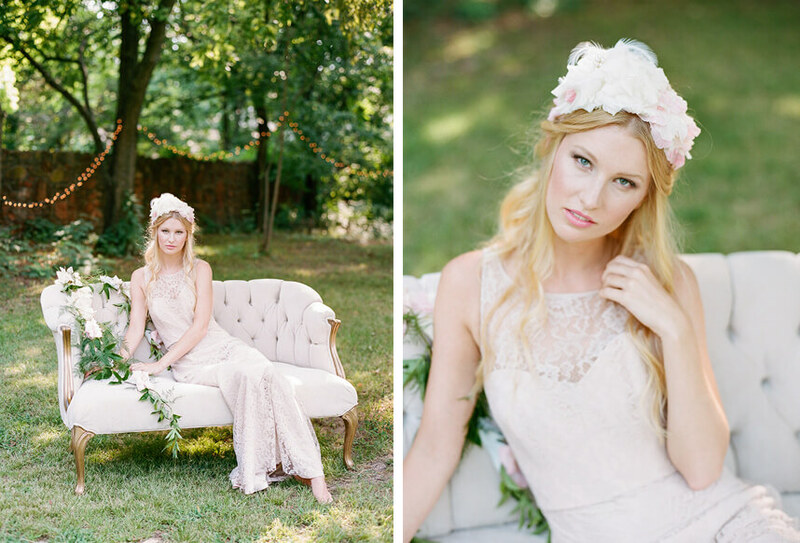 Dress up your look with a gorgeous floral headpiece by Mary Murray’s Flowers. 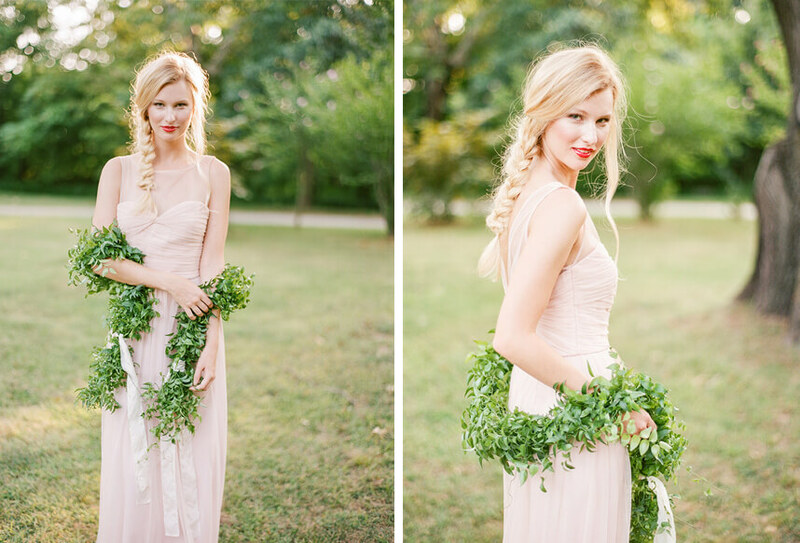 Add floral sashes to your wedding party attire for a unique, natural accessory by Trochta’s Flowers and Garden Center. 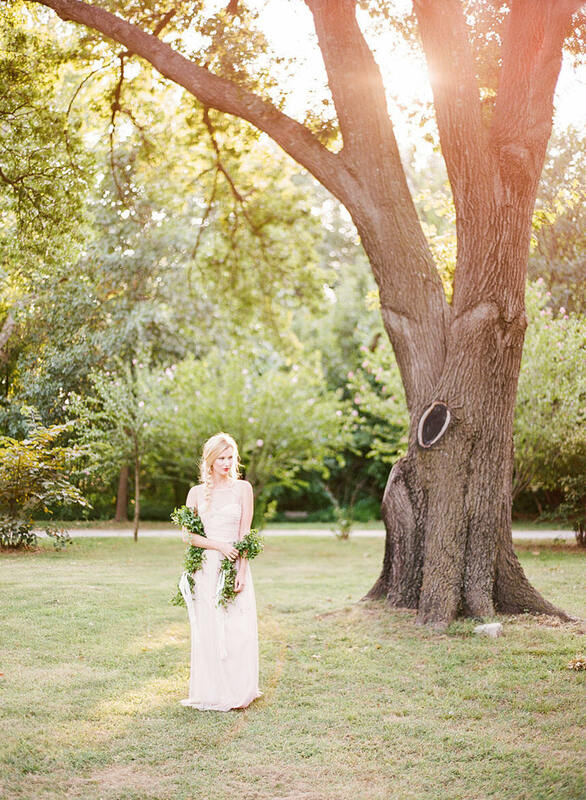 Now enjoy this beautiful behind the scenes video created by Stout Multimedia!